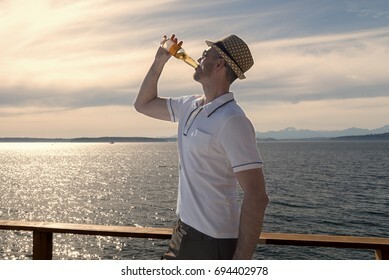 The beautiful Pacific Northwest is home, love to travel and explore the world with my lens. 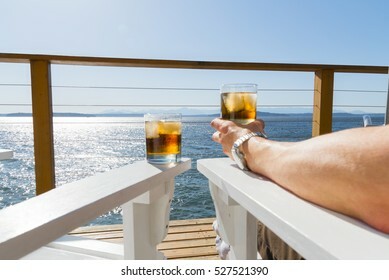 1,555 stock photos, vectors, and illustrations are available royalty-free. 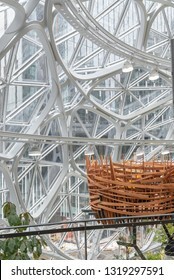 Seattle, Wa circa February 2019 Interior views of the Amazon world headquarters Spheres green house terrariums, many beautiful plants and leaves. 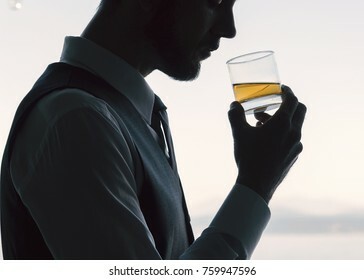 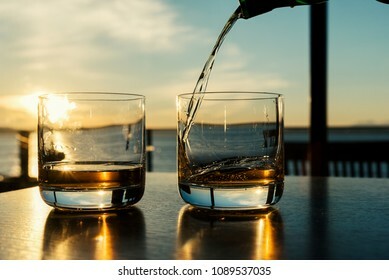 Pouring two glasses of whiskey at sunset on indoor table with large sea view windows. 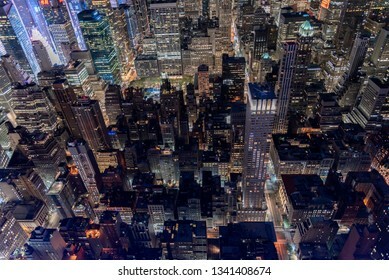 High angle looking down on Manhattan New York City at night. 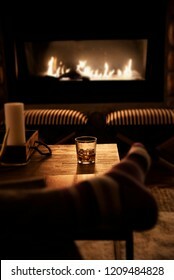 Point of view whiskey on ice drink with warm fireplace glow. 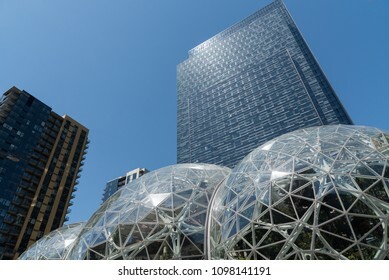 Editorial Seattle Washington United states circa January 2018, partly cloudy sky over the Amazon world headquarters campus with Spheres and surrounding office towers. 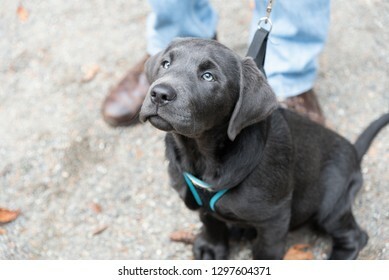 Silver Labrador retriever puppy dog on leash at masters feet looking up. 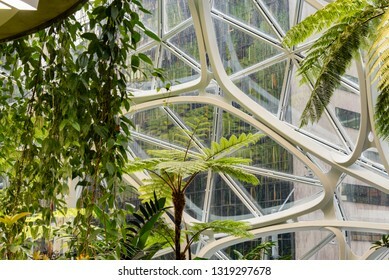 Seattle, Wa circa February 2019 Interior views of the Amazon world headquarters Spheres green house terrariums, beautiful exotic plant life. 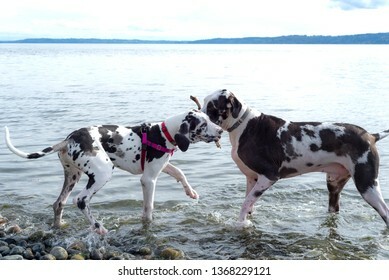 Adult and puppy harlequin great dane dogs playing with a stick on a beach shore. 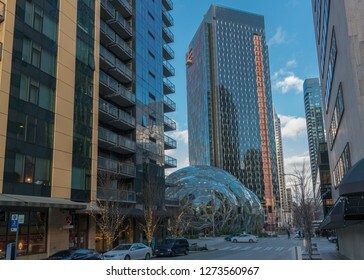 Seattle, Washington March 6th 2018: The Amazon company campus in South Lake Union Cascadia neighborhood, people on campus grounds with Spheres. 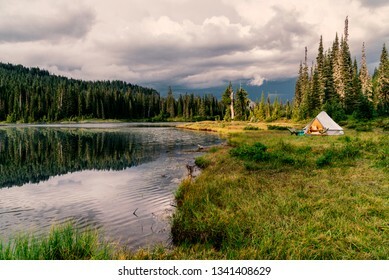 Campsite with tent next to alpine lake under ominous storm cloud sky. 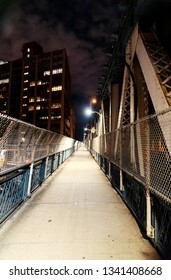 Nigh point of view empty pedestrian bridge, color. 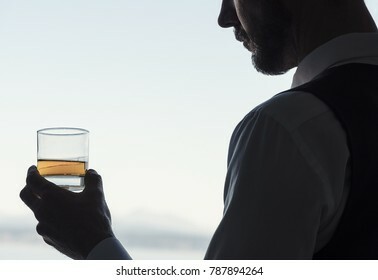 Man in bath tub wet skin head tilted back with eyes closed. 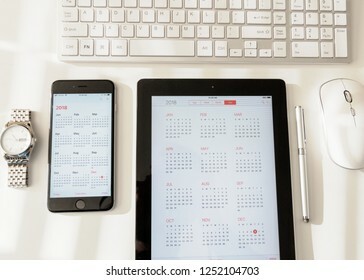 Seattle Washington circa December 2018 talet, smart phone and watch flat layer on desk with calendar apps open. 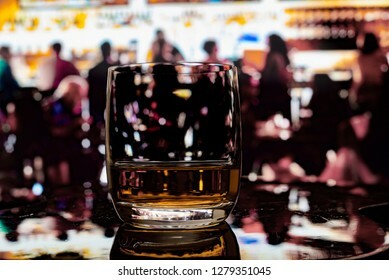 Happy hour at bar whiskey scotch neat on reflective wood surface with many people silhouetted in background. 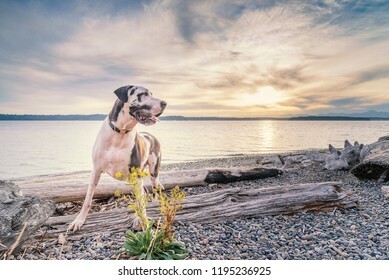 Harlequin great dane dog enjoying a pacific northwest park with flowers and driftwood at sunset. 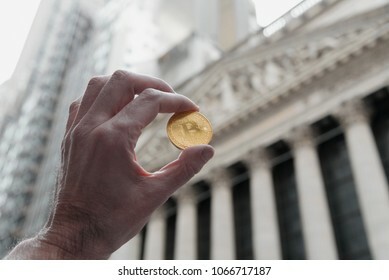 Bitcoin coin being held up outside the New York City Stock exchange building. 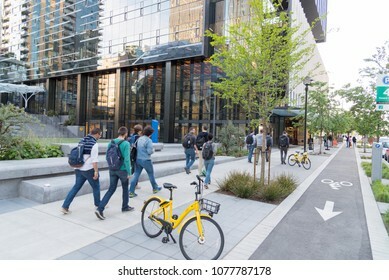 Seattle, Washington circa May 2018 Amazon company world headquarters campus on a sunny blue sky spring day, many people casually walking sidewalk next to Spheres terrariums. 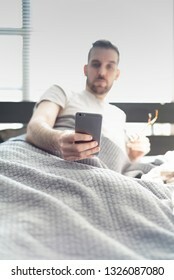 Man in bed with sun pouring through window, focus on his phone in hand. 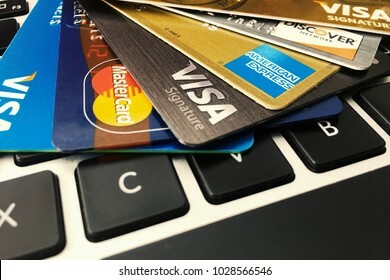 Seattle, Washington circa February 2018 multiple credit cards from different providers close-up view resting on computer keyboard used for online shopping. 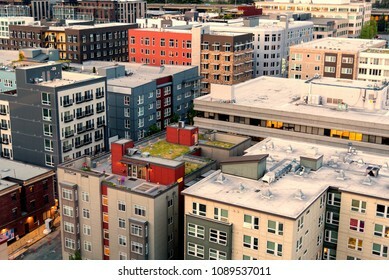 Seattle Washington circa May 2018 Aerial view of downtown Cascade neighborhood showing many condo and apartment buildings. 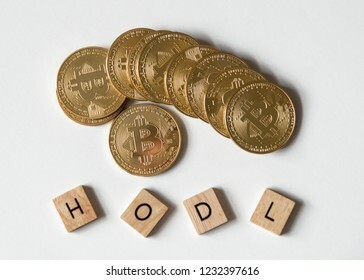 Bitcoin crypto currency with letter tiles spelling out "HODL" which is insider lingo for "hold", overhead view. 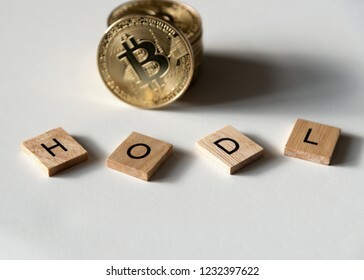 Bitcoin crypto currency with letter tiles spelling out "HODL" which is insider lingo for "hold", angled view. 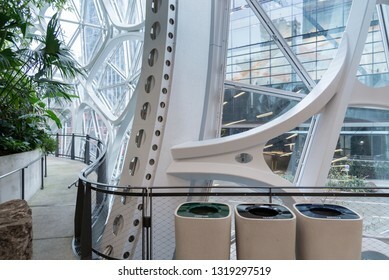 Seattle, Wa circa February 2019 Interior views of the Amazon world headquarters Spheres green house terrariums, trash, recycle and compost bins. 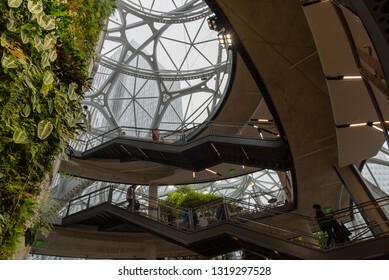 Seattle, Wa circa February 2019 Interior views of the Amazon world headquarters Spheres green house terrariums, low angle with green wall and levels. 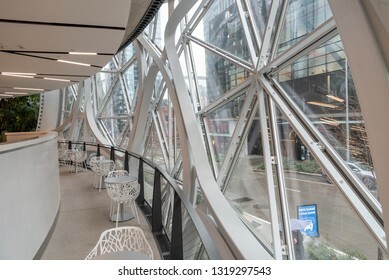 Seattle, Wa circa February 2019 Interior views of the Amazon world headquarters Spheres green house terrariums, empty low level seating along windows. 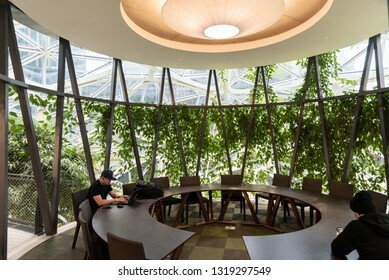 Seattle, Wa circa February 2019 Interior views of the Amazon world headquarters Spheres green house terrariums, one of the meeting areas. 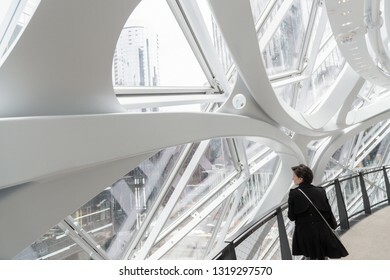 Seattle, Wa circa February 2019 Interior views of the Amazon world headquarters Spheres green house terrariums, high angle view of levels. 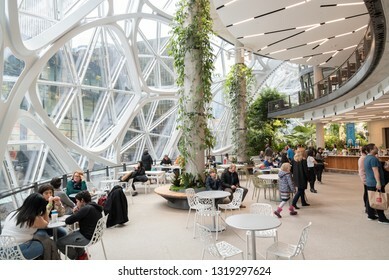 Seattle, Wa circa February 2019 Interior views of the Amazon world headquarters Spheres green house terrariums, busy professional woman from behind. 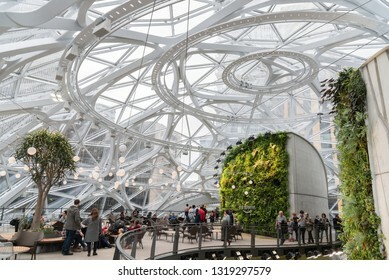 Seattle, Wa circa February 2019 Interior views of the Amazon world headquarters Spheres green house terrariums, top floor with sky view. 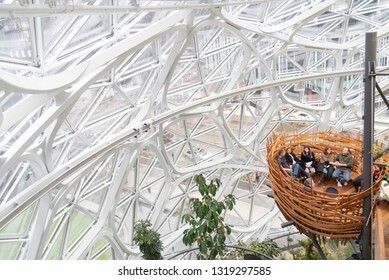 Seattle, Wa circa February 2019 Interior views of the Amazon world headquarters Spheres green house terrariums, birds nest with people chatting. 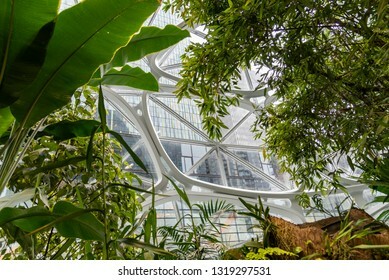 Seattle, Wa circa February 2019 Interior views of the Amazon world headquarters Spheres green house terrariums, birds nest. 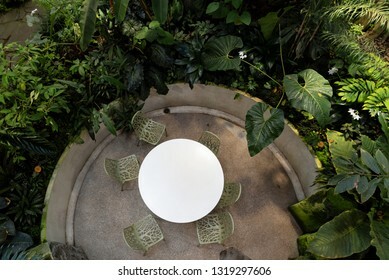 Seattle, Wa circa February 2019 Interior views of the Amazon world headquarters Spheres green house terrariums, high angle empty meeting table. 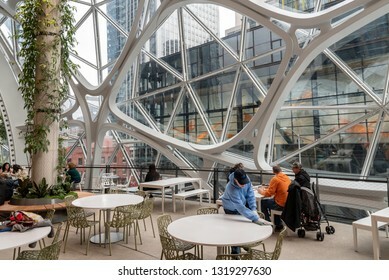 Seattle, Wa circa February 2019 Interior views of the Amazon world headquarters Spheres green house terrariums, work area with chairs and tables. 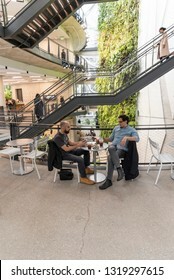 Seattle, Wa circa February 2019 Interior views of the Amazon world headquarters Spheres green house terrariums, co workers chatting and having coffee. 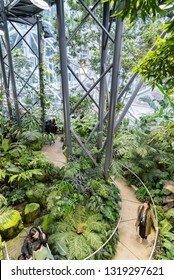 Seattle, Wa circa February 2019 Interior views of the Amazon world headquarters Spheres green house terrariums, overhead view of path through the plants. 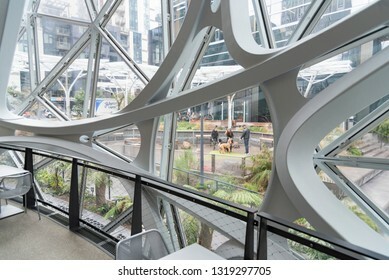 Seattle, Wa circa February 2019 Interior views of the Amazon world headquarters Spheres green house terrariums, large gathering area. 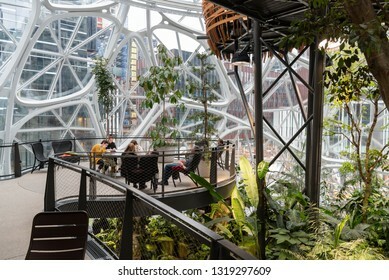 Seattle, Wa circa February 2019 Interior views of the Amazon world headquarters Spheres green house terrariums, employee cleaning table. 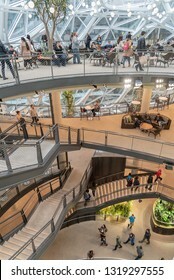 Seattle, Wa circa February 2019 Interior views of the Amazon world headquarters Spheres green house terrariums, levels with stairs and people. 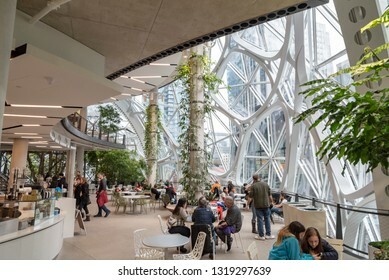 Seattle, Wa circa February 2019 Interior views of the Amazon world headquarters Spheres green house terrariums, cafeteria level. 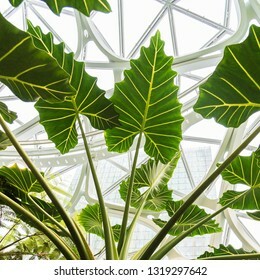 Seattle, Wa circa February 2019 Interior views of the Amazon world headquarters Spheres green house terrariums, elephant ear plant leaves under windows. 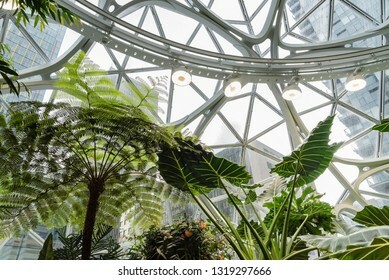 Seattle, Wa circa February 2019 Interior views of the Amazon world headquarters Spheres green house terrariums, large plant leaves under windows. 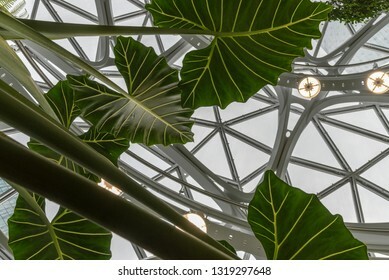 Seattle, Wa circa February 2019 Interior views of the Amazon world headquarters Spheres green house terrariums, many leaves under sky windows. 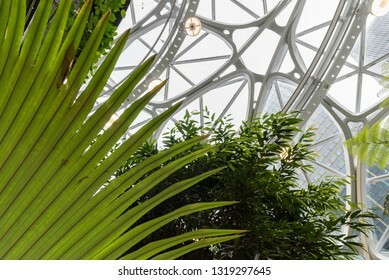 Seattle, Wa circa February 2019 Interior views of the Amazon world headquarters Spheres green house terrariums, looking up with exotic plants. 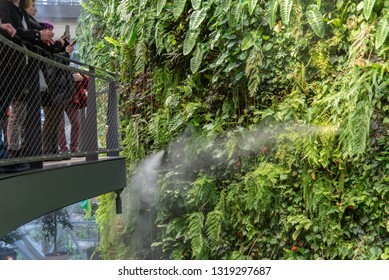 Seattle, Wa circa February 2019 Interior views of the Amazon world headquarters Spheres green house terrariums, misting sprinkler system watering green wall. 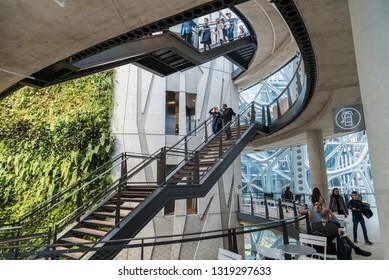 Seattle, Wa circa February 2019 Interior views of the Amazon world headquarters Spheres green house terrariums, underside of multi level stairs with people. 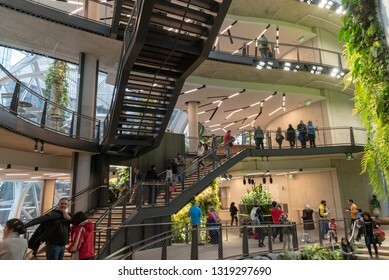 Seattle, Wa circa February 2019 Interior views of the Amazon world headquarters Spheres green house terrariums, hand railing with dog park. 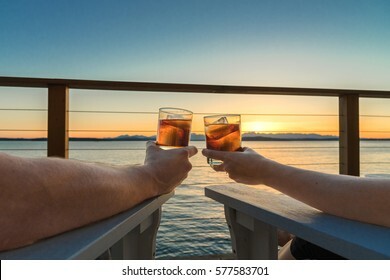 Beautiful sunset view from the deck, couple holding up glasses to toast. 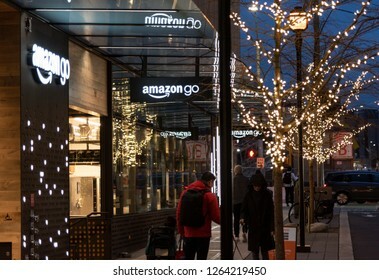 Seattle, Wa circa December 2018 the Amazon Go campus store at night with customers and lit tree. 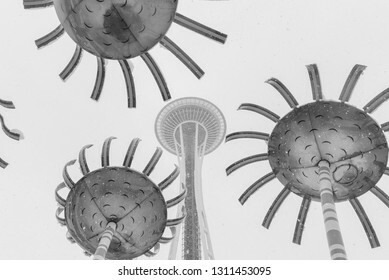 Seattle, Wa circa winter 2019 the Space Needle landmark monument building during a winter snowstorm with the Sonic Bloom art sculpture, black and white. 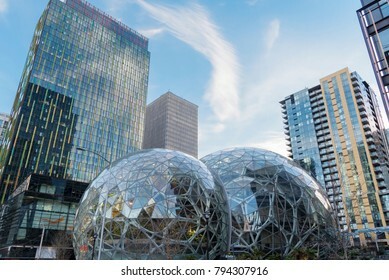 Editorial buildings and landmarks daytime view of the Amazon world headquarters campus featuring the Spheres terrarium globes located in downtown Seattle circa August 2017 panorama color. 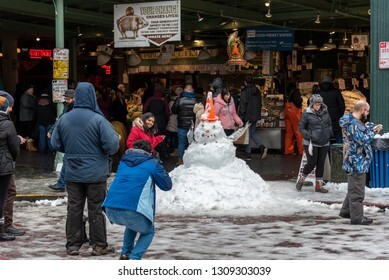 Seattle, Washington circa February 2019 Pike Place market covered in winter snow with tourists posing with fish monger constructed snowman. 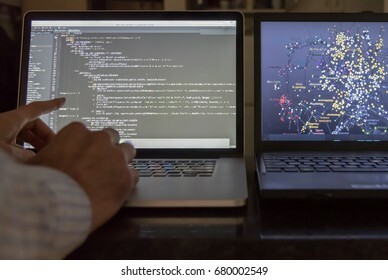 Seattle, Washington circa October 2018 the Amazon company world headquarters Spheres intersection traffic with headlights. 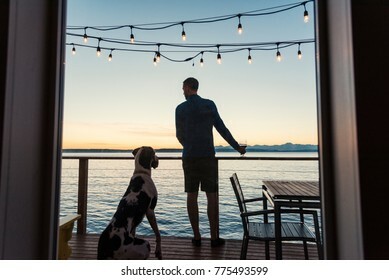 Man and great dane dog enjoying a sunset with a glass of wine, rear view from window. 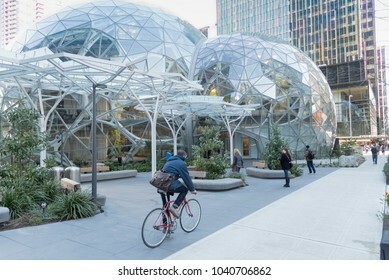 Seattle, Washington USA circa April 2018 The Amazon World Headquarters Campus Spheres terrariums afternoon light in spring season showing group of employees walking on grounds with commuter bike. 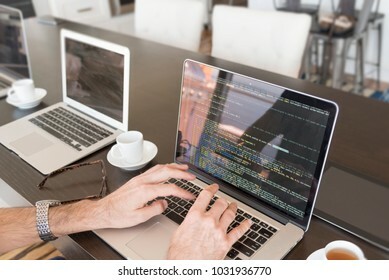 Multiple computer screens with computer code being written with hands and coffee. 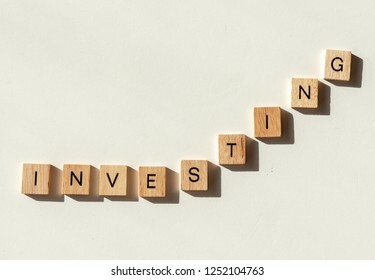 The word INVESTING spelled out in letter tiles as in a line graph chart going up in value. 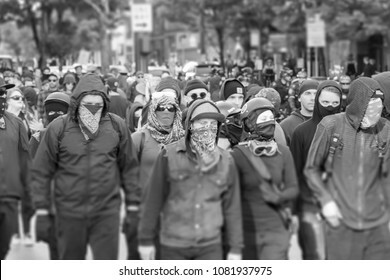 Seattle, Washington USA May 1st 2018 The annual May Day protests held downtown, violent Antifa members marching with masks covering their faces in black and white. 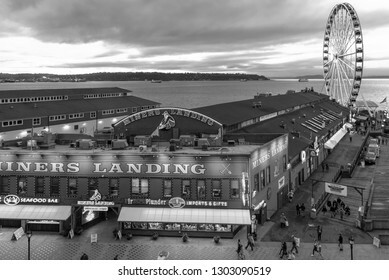 Seattle, Wa circa winter 2019 Miners Landing pier on the downtown waterfront with the Great wheel Ferris wheel at sunset, black and white. 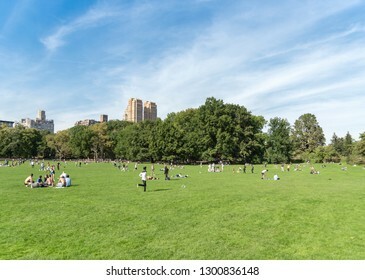 Manhattan, New York circa summer 2018 many people in Central Park enjoying the warm weather playing on the green grass. 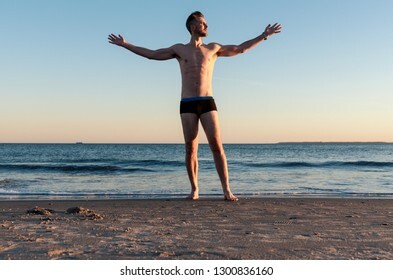 Tall handsome caucasian male on a beach at sunset with arms raised staring toward the setting sun. 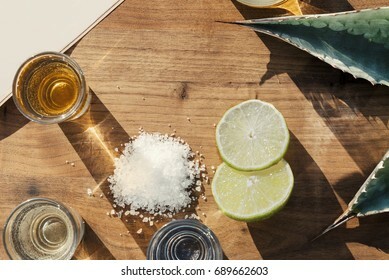 Overhead view of three kinds of tequila on an outside table with lime salt and agave leaves. 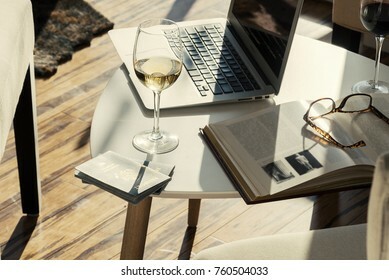 Modern wine bar cafe with computer, book and glasses of alcohol on table side angle view. 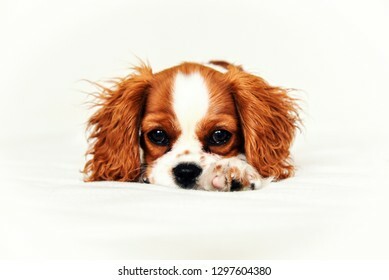 A Cavalier King Charles Puppy laying down with one paw out looking sweet. 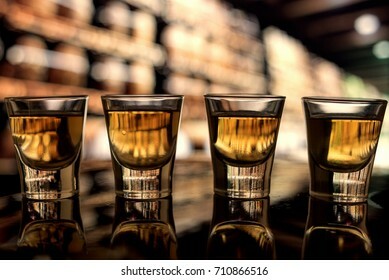 Four shots of whiskey alcohol on the bar at a distillery low angle dark amber tones. 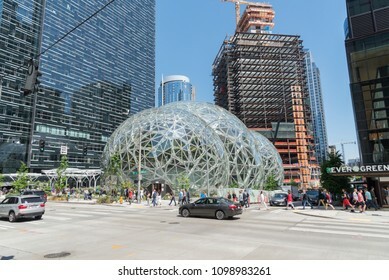 Seattle, Washington circa May 2018 Amazon company world headquarters campus on a sunny blue sky spring day, traffic and people at intersection next to Spheres terrariums. 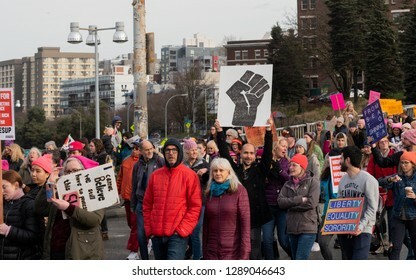 Seattle, Washington January 19th 2019 the Women's March protest people and signs, resist fist in large group. 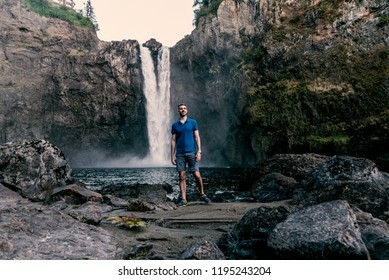 man at base of waterfall looking up. 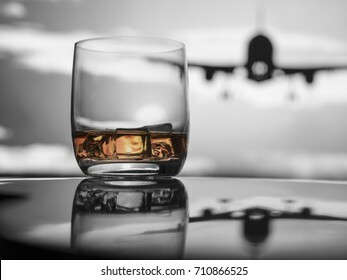 Whiskey on ice at the airport, selective color amber, jet taking off under overcast sky. 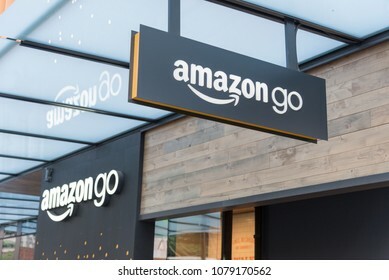 Seattle, Washington USA circa April 2018 The exterior of Amazon companies new store on their world headquarters campus signs above entrance. 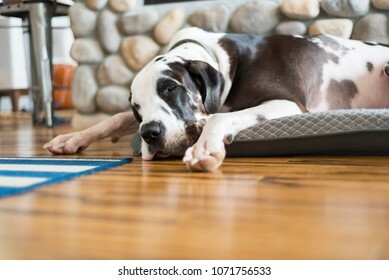 Cozy dog sleeping by fireplace on bamboo hardwood flooring, low angle sound asleep on bed. 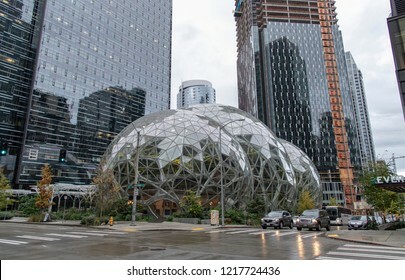 Seattle, Washington circa January 2019 the Amazon companies world headquarters with Spheres terrariums and surrounding office and condo buildings. 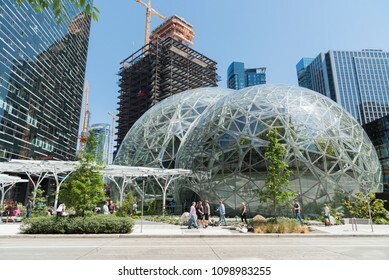 Seattle, Washington circa May 2018, Looking up at the Amazon company world headquarters office tower with green house Spheres at the base under clear blue mid day sunny sky with new construction. 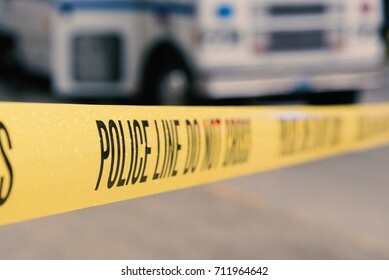 Yellow police line do not cross crime scene tape with emergency vehicle in background, wet with rain drops. 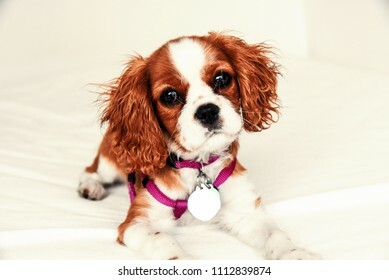 Panorama of pristine mountain valley with snow covered mountain. 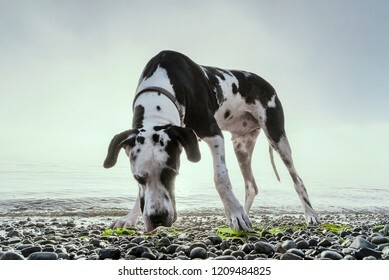 Gorgeous large breed harlequin great dane dog sniffing a rocky beach with green seaweed. 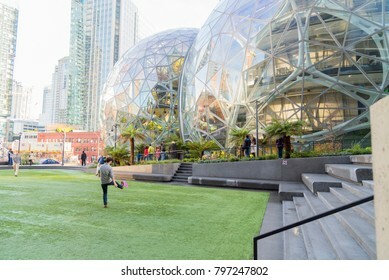 Seattle, Washington circa January 2018 the Amazon world headquarters campus with Spheres and employees playing frisbee on campus lawn. 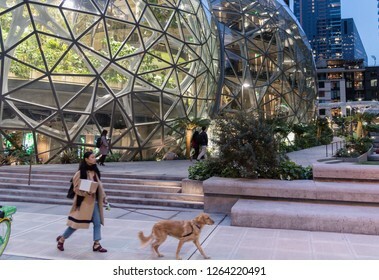 Seattle, Washington circa December 2018 the Amazon company world headquarters spheres terrariums, woman walking with dog. 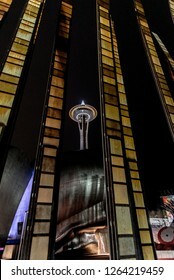 Seattle, Washington circa December 2018 Night view of the Space Needle landmark attraction viewed through slats. 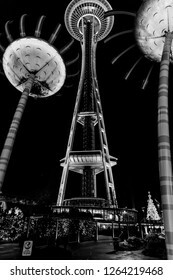 Seattle, Washington circa December 2018 Night view of the Space Needle landmark attraction sonic bloom sculpture. 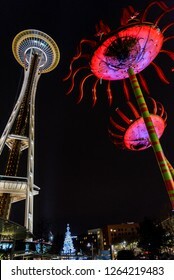 Seattle, Washington circa December 2018 Night view of the Space Needle landmark attraction with colorful Sonic Bloom sculpture. 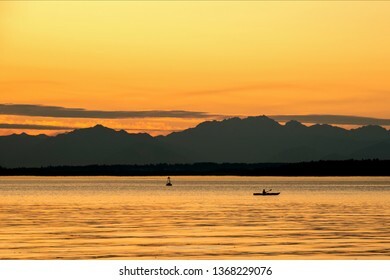 Golden hour kayak paddle with silhouetted mountains at sunset. 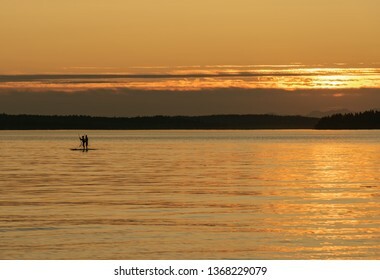 Couple on stand-up paddle boards in silhouette during golden hour sunset on calm water. 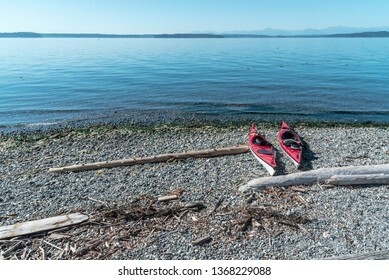 Two red kayaks resting on a driftwood covered rocky pacific northwest beach, mid day. 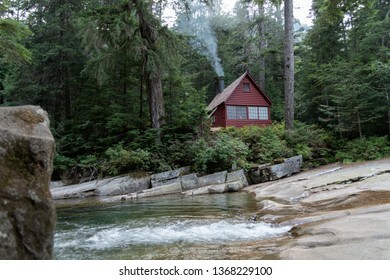 Snoqualmie Washington circa April 2019 a cozy red cabin with smoke from chimney next to a small river viewed while hiking in nature. 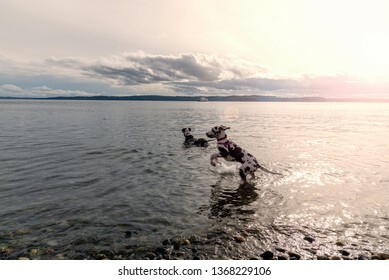 Happy great dane puppy jumping while in the water with adult dane late day sun. 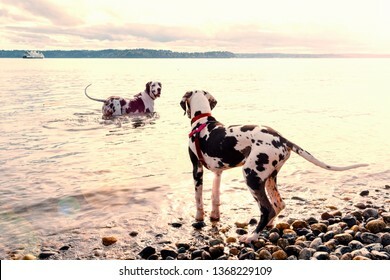 Adult great dane dog leading puppy out into the water to teach him to swim in golden sun from beach. 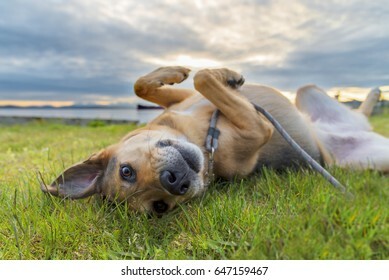 Overhead view of two harlequin great dane dogs laying in beautiful summer green grass. 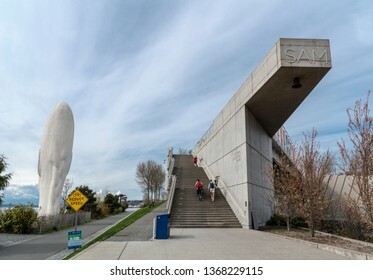 Seattle Washington circa April 2019 the waterfront sculpture park entrance with people walking up cement stairway under wispy blue sky. 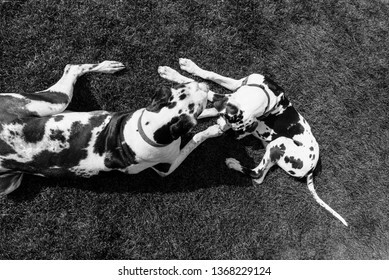 Overhead view of two harlequin great dane dogs laying in grass, black and white. 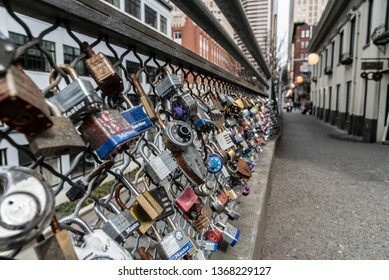 Seattle Washington circa April 2019, variety of different brand and style padlocks attached to a bridge path walkway. 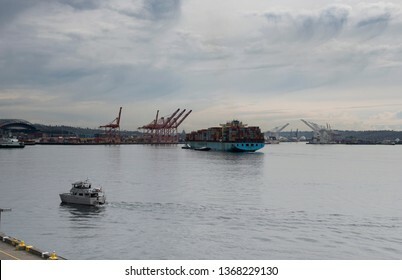 Seattle Washington circa April 2019 large cargo container ship being pushed into port by tugboats. 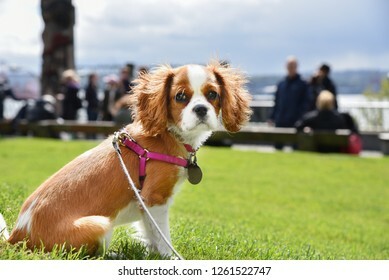 Cute Cavalier King Charles spaniel copper colored dog with harness and leash on green grass lawn. 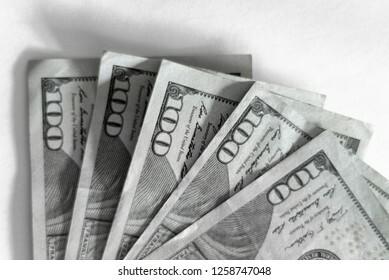 United states currency one hundred dollar bills on white background horizontal landscape.